When you hit about 26, generally speaking, everyone starts to get married. You’ll spend 3-4 years going to weddings, being in weddings, making weekend travel plans, etc. 1) The girls around you who got married start having babies. 2) The couples whose weddings you went to start getting divorced. Among our most immediate social circle, there’s been the experience of gigantic, socially seismic break-ups and divorces, and that’s made things interesting. It’s like a custody battle over friendship. Sheesh. However, it’s also been interesting. In true Teens Decade fashion, where pop culture identifies lots of things in a Twilight-esque fashion – you’re either this person’s team or that person’s – it seems that people taking sides of the break-ups have also taken dietary teams. Thus, we have Team Paleo and Team Vegan. Sounds good, right? And all of our friends that eat this Paleo stuff lose a lot of weight and are all good-looking (always were, just have enhanced their good-looking qualities). Of course, we were in a candy store the other day (more on that later, and no, not healthy at all), and when we discussed eating worms and crickets (that they have for sale as “candy” there), and we recalled my birthday party almost three years ago, when T-storm ate some of the worms he’d bought at said store and I refused to kiss him after he ate worms. It made him feel a little rejected, but we were both drunk, it was one of those kinds of things. Anyway. Back to the store last Friday night, and an employee comes out and tells us that our grandkids are going to eat bugs like crazy. “There won’t be enough livestock left on the planet for them to eat hamburgers,” he says. Later during the weekend, T-storm talks about how he’s read the same thing. About how many resources it takes to create a pound of beef vs. a pound of “bug meat”. This is nothing new to me. I feel like I’ve been researching the Paleo diet a lot lately, just because some of our friends are so enthusiastic and vocal about it (I think, while also drunk, I mentioned briefly at our wedding that the food was not Paleo, maybe meant as a joke?). But the researching of the veggie-based/vegan diet has been going on for me for nearly 10 years. I went on a crusade when I was home for a summer in 2003, decided I was giving up all hydrogenated everything, yadda yadda. I was ovo-laco veggie, and all up on that. My brief stint as a morning worker at Dunkin Donuts, when my mother insisted on rousing me from bed by saying “Time to make the donuts!”, helped propel my feelings a lot. It was also then I got really into composting, despite my efforts being somewhat misguided, i.e. throwing a head of broccoli I didn’t eat into a bush. Oh, the many misguided efforts of youth. All of my friends who said to me, “You’re so skinny, you don’t understand,” have now later on made impressive weight-losing efforts and look (and probably feel) a hell of a lot better than I do. I lost a lot of it when I was a vegetarian, mostly because I hadn’t informed myself as to what was good for me to eat, so I didn’t eat much. Lots of veggie burgers, Easy Mac, and potatoes. My tastes were less sophisticated, I didn’t know how to cook, and my resources were limited. I began to eat fish again in 2006, and gained a good deal of weight back. My mother is convinced that I started eating fried shrimp and fish again, thus the weight gain. I also drank a whole lot more that summer than ever before. In 2007, when the full-time work began, which meant shorter overall days, but way fewer opportunities to walk across campus and get a baked potato from Wendy’s, I began to cheat and go to Checkers after a day full of not eating at work and eat a fried chicken sandwich and those donut-like crazy fries they have. Surely that’s the least healthiest I’ve ever been. I gave up the ghost and decided to start full-on, admittedly eating poultry again in 2009, and got to fully appreciate T-storm’s cooking when we first met a few months into the year. Nowadays, I eat bacon on weekends. Only. So what do I call myself? No one is actually just a vegetarian anymore, as it’s always something more specific. Or maybe we live in the grown-up world now and no one cares. Or maybe it’s 2012 and there are way more options out there. The problem with diets or “lifestyle eating” in the grow-up world is that everything is like a religion. And like many religions, there are so many overlaps between the Paleo and Vegan diets. 1) In their most pure forms, they eschew processed stuff, and think that you should go for more whole foods. Also, many of their dietary requirements force you to shop at Whole Foods. 2) Mostly speaking, they dislike gluten. At our wedding, we had vegan, gluten-free cupcakes (as we know a couple of vegans, my college roommate has a wheat allergy, and my now sister-in-law has Celiac’s disease). We were told that for at least this cupcake maker, gluten-free meant vegan. This is not always 100% true, but I think that new veganism kind of makes friends with the gluten-free ideal. 3) Both keep asking you to give up new stuff. Every day there’s something new we’re supposed to give up. First it’s gluten, then it’s all sugars, and some people even say that fruit is bad for you?! Huh!??! 4) Both of these diets do keep throwing things in your face, that IT’S SCIENCE! LOOK AT THESE REFERENCES! But on either side of the operation, I don’t really buy it. It sounds like blog-science to me. 5) As most religions go, it’s two different paths to the same goal. People want good health and to be aware of what they put in their bodies. 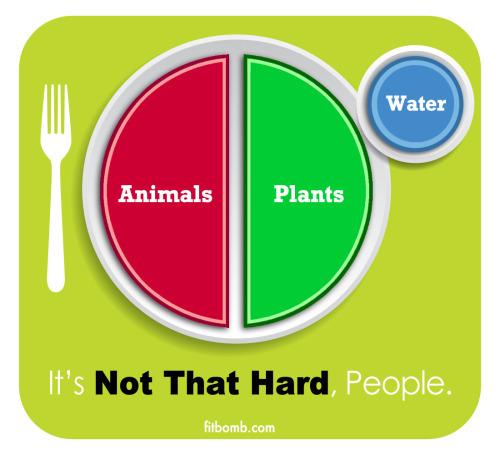 In essence, Paleo is animal & plant based diet. And Vegan is solely plant-based. I read somewhere that said Paleo diet didn’t include beans, which sounds insane (and un-doable for me). That may or may not be true. The Paleo diet smacks a little bit of the “next new thing”, where veganism may be so 10 years ago, but both are indeed similar sides of one issue. And people seem to split up into teams. So which team am I on? Both dietary ideas have positive qualities. If I decide to make fried chicken, I might try the “paleo” recipe. Thank you again, Pinterest. One of our most vocal Paleo friends makes these little cakes with molasses, and I am craving them right now. I have cookie recipes that are gluten-free (mostly for family-centric holidays, when we see the Celiac sis-in-law, who is otherwise stuck in a lab finishing her Ph.D.). And I love veggies. I really love a lot of vegetarian foods. On our honeymoon in Montreal, the food I craved most intensely upon departure was this vegan sandwich I’d had in this little dirty looking retro hipster sustainable place. Whatevs dude. That was the best sandwich I’d had in a long time, and I still want it as I’m typing. But on the same token, I’ll gladly split a plate of Poutine with my husband, as it was the food item he became obsessed with on the honeymoon. Even if it’s made with beef gravy (beef being the animal I’ve lost a taste for altogether, and have eaten only a handful of times in the past 11 years). Some people will chastise others for not picking a religion. “It’s about being dedicated to one thing.” Whatevs. But just like I’m willfully agnostic, I’m willfully not of any particular diet. I’ll be glad to pick the best from each of them. Take what’s helpful. And besides, just like I’ll always be a little bit Catholic, even if I never go to church again, never receive Communion, I’ll always have the food religion of my upbringing – my parents are both from Long Island, and thus my mother is a huge snob when it comes to bagels and pizza. The fact that she grew up, even as the only blond-haired, blue-eyed kid, in Matzapizza, NY* means that you’ll have to pry my thin-crust covered in fresh mozzerella and pesto, as well as my everything bagels with full-fat whipped cream cheese from my cold, dead body. I’ll gladly train for and run marathons before I give either of those food items up for good. 1) I could not possibly cite the article even if I wanted to, but I read somewhere in my early vegetarian research (on a dial-up modem) that no one should eat foods given a certain dogma, but rather eat foods based on what works for your particular diet, and the needs of your body. 2) A friend of mine who actually has a degree in nutrition once said, in her own “Rebel Nutritionist” guides that eating small bits of meat every now and again, and not making it the backbone of your diet is probably sustainable. Going completely vegan is probably not. For me, giving up fast foods and sodas is a good start. On Saturday night, I even denied my husband Drunk Checkers (which is the only acceptable form of Checkers in this day and age). Luna Bars at work all day and Fage yogurt doubles do nicely. Oh, and Real Butter is good, too. *Matzapizza, NY, is not actually a real place. But it might as well be. My mother actually went to high school with Jerry Seinfeld, and the father of Alec and the Baldwin brothers was her high school principal.